Here's Insect World, a slightly lighter skin, earth tone colors, and some insect images, along with an animated butterfly for your enjoyment. 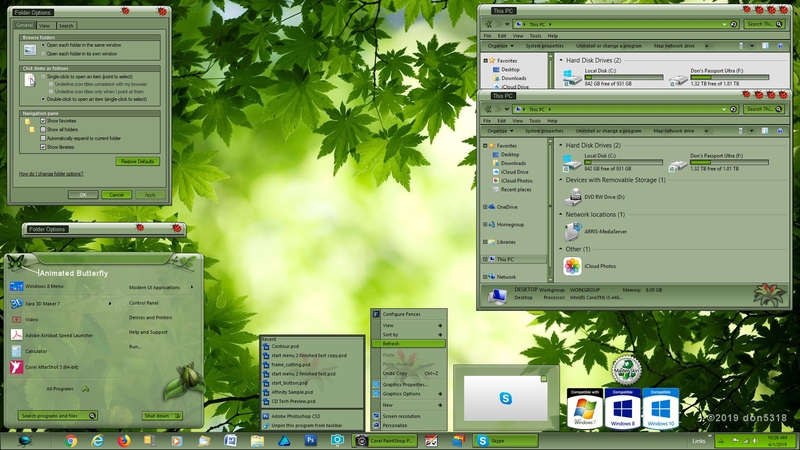 Has sub styles for Win 7, Win 8.1, Win 10, and a roll up button as well. Enjoy, and thanks to everyone for your support, by buying my skins, and thanks to those who do my testing as well. The wall I got from one of Microsoft's Theme packages. Total beauty all around on this WB. Nice work. Beautiful green color but insects? Not my thing. Great work though. Absolutely great skin Don, and the Lady Bugs area great! Great theme Don.......just gotta get out the flyswatter, theres bugs on my screen! LOL, glad you like it Vicki, thanks.